Jeff Chastain. Photo by Anthony Rao. Anglers in the Big Bass Tour are on a mission to go fishing. Fish tales are intriguing and typically go like this: A fisherman spreads his arms as wide as possible, boasting about the size of the big bass he caught in a far-off place with no witnesses or photographs. Listeners shrug their shoulders, wondering whether he really caught a whopper or is telling a whopper. However, you can rest assured there’s nothing fishy when Jeff Chastain enthusiastically shares a pleasant memory from last year’s Big Bass Tour in Lake County. He emerged victorious in two of the tournament’s hourly weigh-ins that award $1,000 to the fisherman who catches the biggest bass in a given hour. One of his bass tipped the scales at 8 pounds, 9 ounces, while the other weighed 8 pounds, 4 ounces. For winning, he reeled in $2,000. A lie-detector test administered by an FBI agent—a standard practice at high-stakes bass tournaments—was proof that he didn’t embellish or cheat. Jeff hopes for a repeat performance as he tests his fishing skills against other top amateur anglers in the Big Bass Tour, which is making its first stop of 2019 on the Harris Chain of Lakes. During the event, scheduled for Feb. 15-17, hundreds of amateur fishermen will vie for $133,525 in prize money, as well as an opportunity to win a brand-new bass boat. During the tournament, competitors can fish on the Harris Chain of Lakes, as well as all rivers, creeks, and canals connected to it. That includes lesser-known bodies of water such as Trout Lake, Horseshoe Lake, and Moss Bluff Lock and Dam on the Oklawaha River. The hourly weigh-ins run from 9am-3pm at Hickory Point Recreation Park in Tavares. 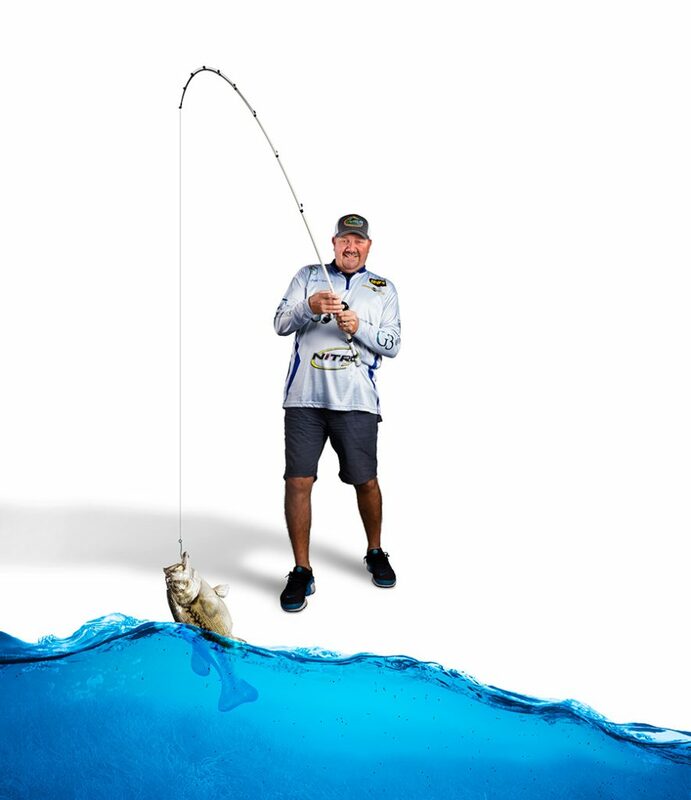 In addition to winning prize money, the angler who catches the biggest bass of the tournament will win a 2019 Nitro Z19 bass boat powered by a 200-horsepower Mercury engine. The boat is valued at $41,945, according to Nitro’s website. Lake County has hosted the Big Bass Tour every year since 2014, and last year’s tournament drew 750 anglers representing 21 states. The event receives lots of publicity. Reports from Big Bass Tour officials indicate their Facebook, Instagram, and YouTube pages generated 644,000 social media impressions during the 2018 event. Tim Frederick, a professional angler, helped recruit the Big Bass Tour to Lake County. He says the Harris Chain of Lakes is an ideal spot to host tournaments and ranks it as one of Florida’s top three bass-fishing destinations, alongside South Florida’s Lake Okeechobee and the Kissimmee Chain of Lakes. To back up that claim, he cited the two-day haul of Kentuckian Matthew Robertson, who in December won the Bassmaster Team Championship on the Harris Chain of Lakes with an impressive total of 57 pounds, 9 ounces. this will mark the fourth consecutive year that his brother, Tommy Frederick, is fishing in the event. Like Jeff, Tommy has finished in first place in the hourly weigh-ins. For more information, visit bigbasstour.com/tournaments/2019/harris-chain-of-lakes-florida.